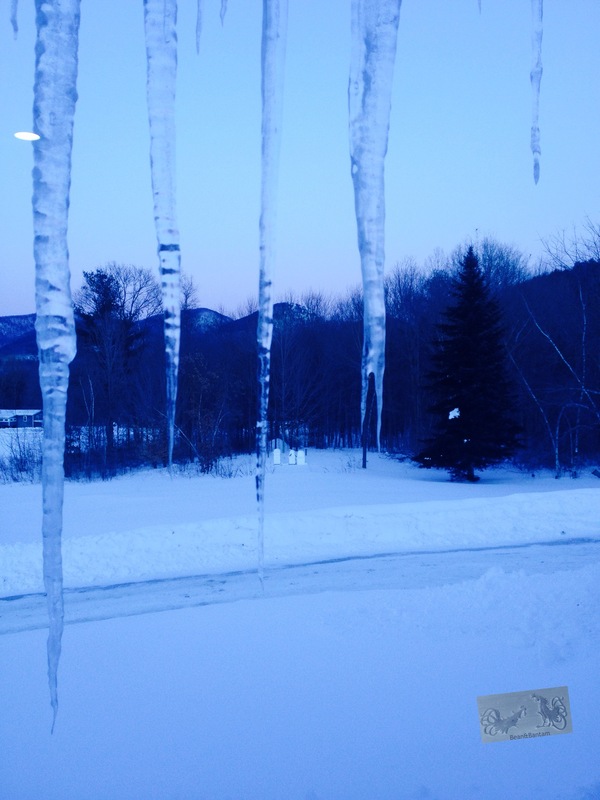 Bee hives in snow, blue Vermont twilight, icicles and below zero temps. Baby chicks will be here the first week of March if all goes well. They are eggs right now, forming small beaks and sinew taking shape, growing until strong enough to tap out of their shells.